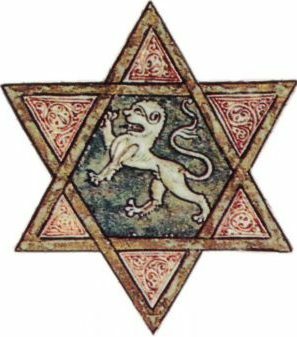 In 1286 the Jewish world was in turmoil. Groups of rabbis and kabbalists whispered tidings of a new book of mysticism that had come to light. The rumors stated that the book had been written by Rabbi Shimon Bar Yohai, the legendary tanna who lived and taught in Eretz Israel in the 2nd CE. According to the rumors, the pages of the book had been hidden in earthenware jugs and secretly handed down from rabbi to student for generations, until they were revealed by one of the great kabbalists of that period – Rabbi Moshe de Leon. The authenticity of the book immediately became a subject of intense controversy. Leaders and Torah scholars divided into schools of thought some claiming one thing, some another. The question was of great enough urgency to cause one such scholar, Rabbi Yitzhak of Akko, to embark on a personal quest to determine the origin of the Zohar. Rabbi Yitzhak of Akko (1250-1340), one of the great sages of his generation, was a disciple of Nachmanides and Rabbi Shmuel Tzarfati. When Akko was conquered by Sultan al-Ashraf Khalil of Egypt in 5051 (1291), most of Akko’s Jewish and Christian residents were killed or captured, and Rabbi Yitzhak was among the captives. It is unclear when and in what country he was redeemed and released, but there is evidence of his presence in Italy in 5061 (1301). 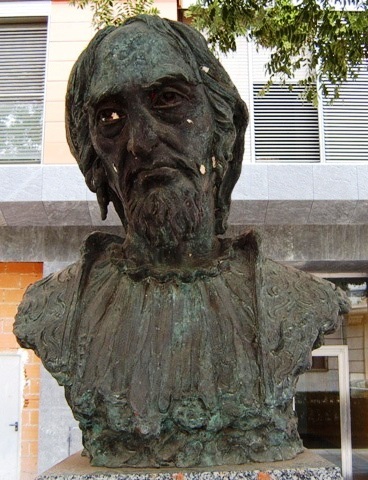 That same year he traveled to Spain to research the source of the Zohar. Since I saw that its words were wondrous, drawn from a heavenly source, the flowing wellspring… I pursued Rabbi Moshe de Leon … and asked the scholars who held his works in their possession how they came to acquire these wondrous secrets, which had always been passed on by word of mouth and never been written down, but were now written plainly in his book for anyone who could read to see? Rabbi Yitzhak documented the different versions of the source of the Zohar. One opinion avowed that the book passed from generation to generation and was given to Rabbi Moshe b. Nahman (Nachmanides or Ramban, 1194-1270), one of the prominent and most credible rabbinical figures of his generation. 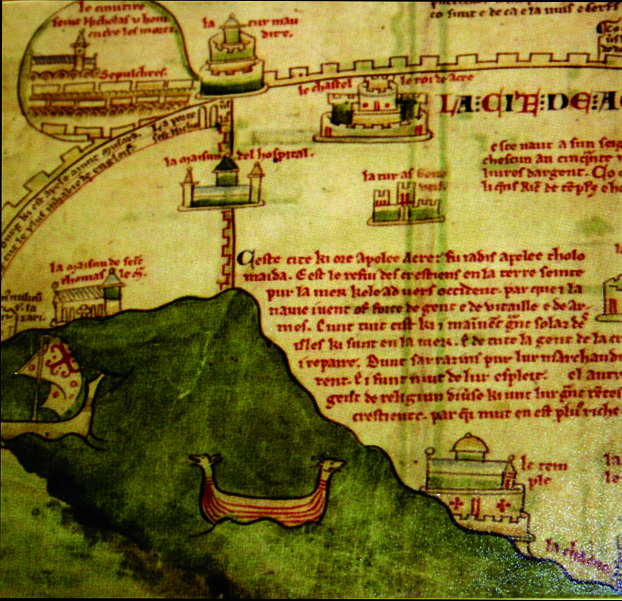 Nachmanides sent the book from Eretz Israel to his son in Catalonia, but the book never reached its destination and instead fell into the hands of Rabbi Moshe de Leon. 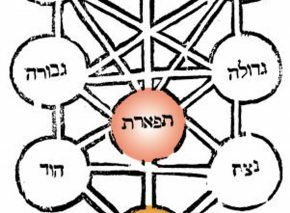 The second version was that Rabbi Moshe de Leon wrote the book “in the author’s name,” an expression referring to a kind of mystically inspired vision in which the subject identifies with an ancient figure and serves as a medium for transmissions from him, writing while in an ecstatic trance (See Zohar Unzipped and Z-rated. Later Rabbi Yitzhak of Akko met Rabbi Yosef Halevi, the son of Rabbi Todros the kabbalist, who told him unequivocally: “Know and believe that the book of the Zohar, written by Rashbi, was in the hands of that Rabbi Moshe, and he copied it and gave it to whomever he saw fit.” Rabbi Yosef claimed that he tested Rabbi Moshe de Leon and asked him to write him a copy to replace part of a manuscript he had lost. 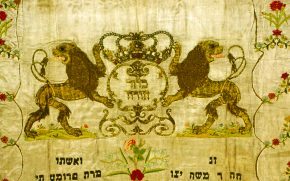 It turned out that the new copy was identical to the original and Rabbi Yosef saw this as proof that Rabbi Moshe de Leon had an original manuscript, from which he was making copies. 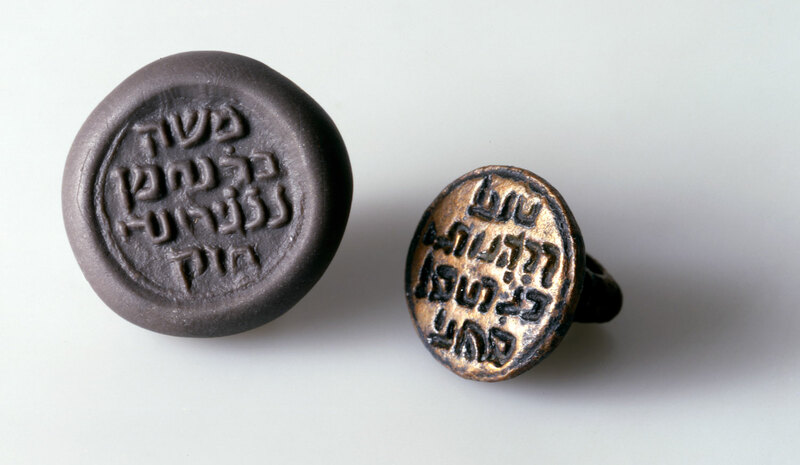 Rabbi Yitzhak of Akko found other scholars who claimed Rabbi Moshe de Leon had an authentic original in his possession, and that his wife lied because she was afraid of being censured for selling the original for a pittance, as parchment to be reused. At this point the testimony of Rabbi Yitzhak of Akko ends. This excerpt is the only surviving part of Rabbi Yitzhak of Akko’s original Divrei Ha-yamim, and since it ends in the middle we have no way of knowing what his conclusions were and whether he accepted Rabbi Moshe de Leon’s account as credible or not. 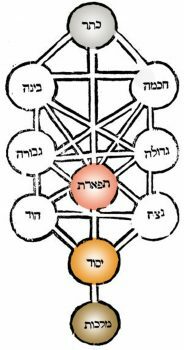 Over the generations, the Zohar has been accepted by the overwhelming majority of Jewry as the fundamental book of Kabbala and Jewish mysticism. Even so, the debate has continued since the book first appeared in the 13th century. 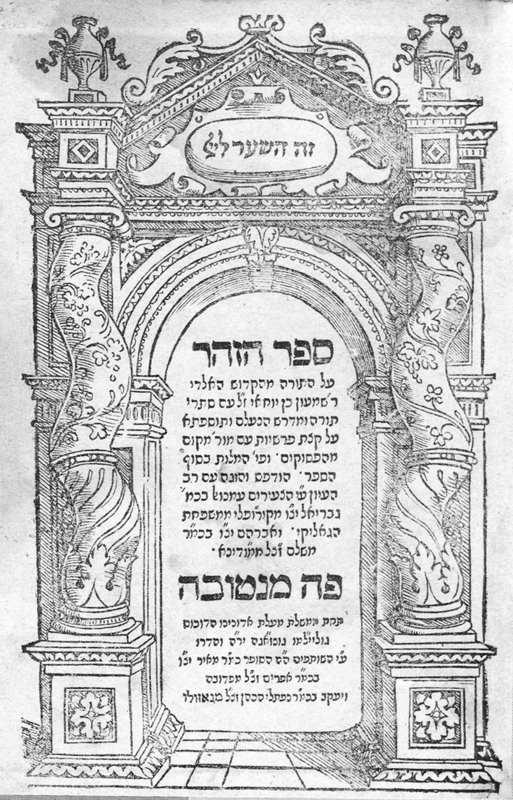 The Zohar was first printed only in the second half of the 16th century, in Cremona and Mantua, and the first volumes met with fierce opposition, including bans and boycotts directed against the printers. The objections ranged from opposition to the Kabbala in general, or to the Zohar in particular, to disagreement in principle with the whole concept of making kabbalistic works readily available – on the grounds that this secret esoteric wisdom was not intended for dissemination among the masses. The spiritual leader of Italian Jewry, the renowned poseik and exegete Rabbi Yehuda Aryeh (Leon) di Modena (1571-1648), wrote against the kabbalists in his book Ari Nohem. He argues in principle against Kabbala and objects to the attribution of the Zohar to Rashbi, in the wake of the findings of Rabbi Yitzhak of Akko. Some claimed that Rabbi Yehuda Aryeh’s opposition to Kabbala was not a matter of principle, but rather stemmed from the interest displayed by Christian groups in Kabbala after they identified concepts similar to their own beliefs. Rabbi Yitzhak Isaac Haver countered Ari Nohem with a book titled Magen Tzina, in which he defends the Zohar. R. Yehuda Aryeh was neither the first nor last to publicly criticize the Kabbala’s ideas. Ari Nohem was preceded by Be-hinat Ha-dat, by Rabbi Yosef Delmedigo in 1629. He claimed that Kabbala is not original Jewish wisdom, but is rather based on Neo-Platonic fundamentals, and that the Zohar was certainly not written by Rashbi and his colleagues, but rather in the Middle Ages. 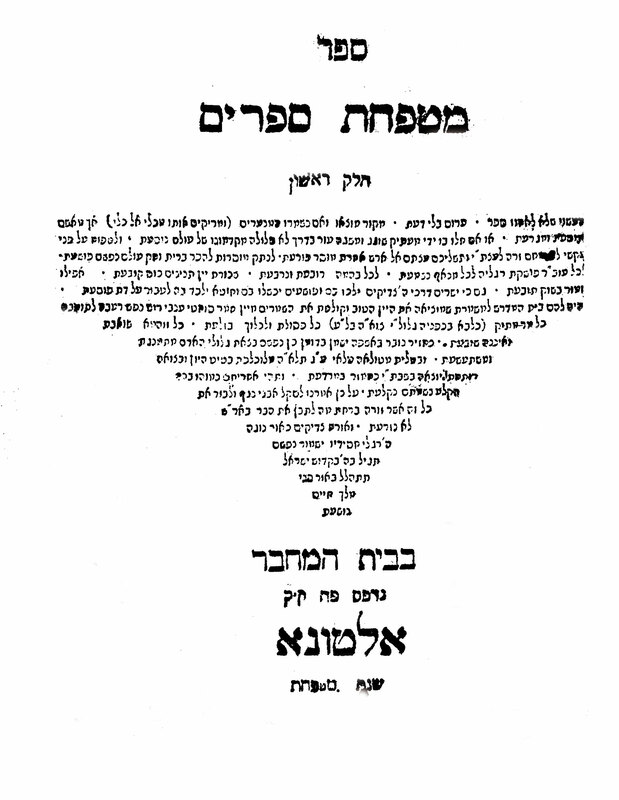 One of the most prominent attacks on the Zohar, which triggered many and varied responses, was Mitpahat Sefarim by R. Yaakov Emden (1698-1776), who researched the origins of the Zohar and concluded that although the book contains an original core dating from antiquity, there are many layers that were added later. Rabbi Emden’s book sparked a furor in the Jewish world, mainly due to its author’s standing. 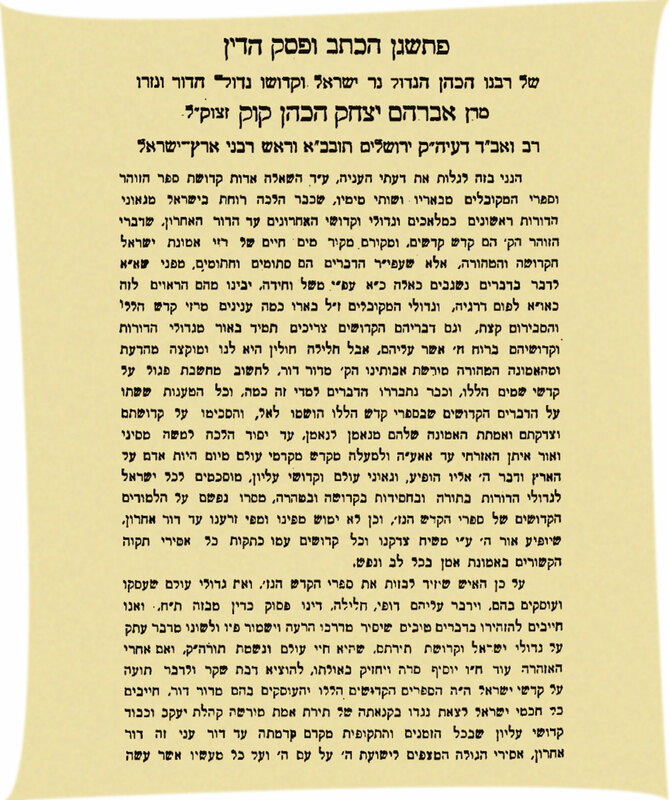 In that same generation Rabbi Moses Kunitz (1774-1837) published Ben Yochai, in which he refuted the arguments laid out by Rabbi Jacob Emden in Mitpahat Sefarim. A string of responses to this book continued to appear in the following generations. Rabbi Haim David Azulai (Hida, 1724-1806) opposed Rabbi Jacob Emden’s conclusions, as did Rabbi Reuven Margaliot (1889-1971), whose book, Nitzotzei Zohar, cites earlier sources for all the citations for which a late date is supposed in Mitpahat Sefarim. Even so, Mitpahat Sefarim also had its major supporters – including the renowned Hungarian sage, Rabbi Moshe Sofer (the Hatam Sofer, 1762-1839) – who wrote a book in support of Rabbi Jacob Emden, rejecting Rabbi Moses Kunitz’s arguments. Rabbi Yihya Qafih was one of the most esteemed rabbis in Yemen in the early 20th century. In 1914 he published a book on his position regarding the sources of the Zohar. He contended that not only was the book not written by Rashbi, it was composed by the “accursed philosopher,” and deceitfully implanted in Jewish tradition. Rabbi Qafih wrote that Jewish faith should be based on the rational philosophical principles propounded by Maimonides, as had been the practice throughout the generations among Yemenite Jewry. This book elicited outrage around the Jewish world and the rabbis of Jerusalem responded that very year with an assembly that issued a ban against Rabbi Qafih. The ban was harsh, and its signatories included the highest rabbinical courts of the various ethnic communities, including the Sefardic chief rabbi – the Haham Bashi, Rabbi Yosef Franco. Ashkenazic Chief Rabbi of the British Mandate in Palestine, Rabbi Avraham Yitzhak HaCohen Kook (1865-1935), also joined the dispute, and sent Rabbi Qafih a letter explaining his position. One of the issues raised by Rabbi Kook was that Rabbi Qafih’s arguments were old ones that had already been deliberated by sages of previous generations – and a decision taken. Rabbi Qafih should therefore not raise these claims again, as this contravened the accepted rules of halakhic adjudication. In the spirit of post-modernism, Prof. Daniel Abrams says that the attempt to locate the Zohar and its author is irrelevant, because until the 16th century there was no such book. By the late 15th century the Zohar literature existed in scattered form, dispersed over many manuscripts among which there was neither cohesion nor literary association. The text as we know it took shape over hundreds of years, in a process similar to the consolidation of the talmudic literature. As long as the Zohar was disseminated in manuscripts, there was no need to edit it, as the copier could make corrections in the text as he copied it, a common practice among kabbalists between the 13th and 16th centuries. The copiers themselves were not always aware that their intervention changed the content of the original text, and therefore did not view themselves as authors or even as redactors in the modern sense of the word. The need for a definitive original arose only with the advent of printing, as one particular manuscript would now be reproduced in many copies, with no possibility of alteration – requiring a greater degree of reliability. Since we tend to extrapolate from our world to the world of the Middle Ages, we are constantly searching for one definitive “authentic version” in order to produce a “scientific edition,” instead of trying to trace the development of the text in later generations. Abrams rejects the theories of a deliberate and manipulative attempt by a group of authors to attribute the book to an ancient source. 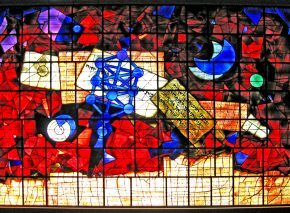 He believes that it was an unconscious process that continued for a number of generations and involved a large group of kabbalists who had no contact with one another. This type of writing was very acceptable in the Middle Ages and was not considered manipulation. But this kind of gradual collaborative development would imply that there is, in fact, no final and definitive version of the Zohar out there, waiting to be found. Yehuda Liebes, Studies in the Zohar, SUNY Press, 1993; Daniel Abrams, Kabbalistic Manuscripts and Textual Theory, Magnes Press, 2014.